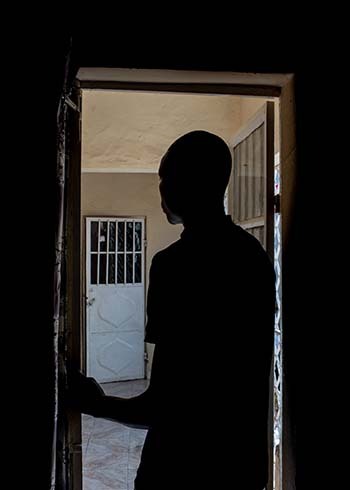 Despite a grueling journey through known trafficking hotspots in the West African Sahel, Lamin Leesay’s dream of a new life in Germany ended in Libya. 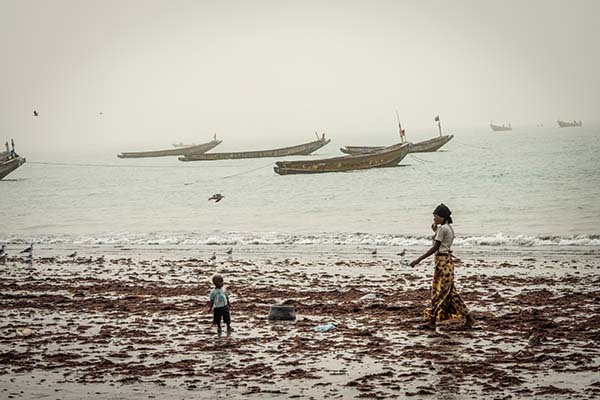 Faced with unprecedented rapid population growth, rising unemployment, and severe climate change, thousands of West Africans feel they have no choice but to leave their homes in search of economic opportunities elsewhere. However, what they experience along the way is often not what they expect. CRS and the Catholic Church are teaching migrants across Senegal, Mali, The Gambia, Ghana, and Niger that they have more choices—helping them understand the risks of migration, providing life skills and job training, and working with communities and youth so people feel they have other choices to live a life of dignity and security at home. Lamin was 19 when he began a journey from The Gambia. With $80, Lamin left home, hoping to reach Germany so he could earn income for his family, and continue his education. First, he reached Senegal, then Mali. At each stop, Lamin paid money to private agents or smugglers, who make travel arrangements. When he arrived in Agadez, he took a pick-up truck through the desert until he finally reached Libya after two nights. He had to pay debts to the smugglers that had facilitated his travel to Libya. In Tripoli, he worked at an internet café for several weeks. Without the proper work papers and permits, Lamin was arrested. Returning back home is also a difficult journey. Many migrants are exposed to trauma and physical abuse in detention, and they reach home with shattered dreams. Many more report being afraid to go home—afraid of what their families will think of their failure to reach Europe — their failure to achieve a better life not only for themselves, but for their loved ones as well. With loving support from his brother, Lamin found his footing. “I felt thankful he could return because others died. It was a victory for us,” says Lamin’s brother, Yusupha Jattah. Lamin also received training from the United Nations so he could start a construction business. “We’re proud of him now,” says Yusupha. “People lack support, that’s why people leave, but if they feel empowered, they will stay,” says Lamin.